Debt can place an immense strain on a marriage. It can create a sense of disappointment, hurt feelings, secrecy, and anxiety about stability, security, and priorities. This sense of disappointment can snowball into feelings of anger, resentment and create a loss of trust between spouses. But debt doesn’t have to create tension in your household. There are things you can do to alleviate the situation. One of our clients, Rick, went through the difficult experience of managing secret debt with his wife. Continue reading to learn how Rick and his family managed their debt without the divorce. Starting out with an honest conversation is the best way to get on the same page. It is possible that you’ve been hiding your debt from your spouse, like Rick was. Engaging in effective interaction, and being open and willing to compromise, are imperative to surviving debt together. When Rick first approached his wife about the debt problem he had been hiding, their conversation didn’t go so well. She wanted to become the “saver” – clamping down on spending, cutting up credit cards, and close monitoring of his financial decisions. But Rick is a “spender” by nature – and being deprived of spending any money made him feel resentment towards his wife. They were not working together yet to find a solution to his debt. After telling his wife how this made him feel, they both resolved to get on the same page and work together to find a debt solution. They sat down and talked honestly about why Rick felt the need to spend so much money. He told her that he just wanted his family to live the life they deserve – enjoying nice dinners out, extracurricular activities, and he wanted to make sure his parents were comfortable in their retirement home. Financial decision making is often based on behavioural, cultural, emotional and societal factors; and, intuitively, we don’t always make great decisions. We often try to pay off smaller debts rather than focusing on a way to reduce the total associated costs – like paying off higher interest debts first. 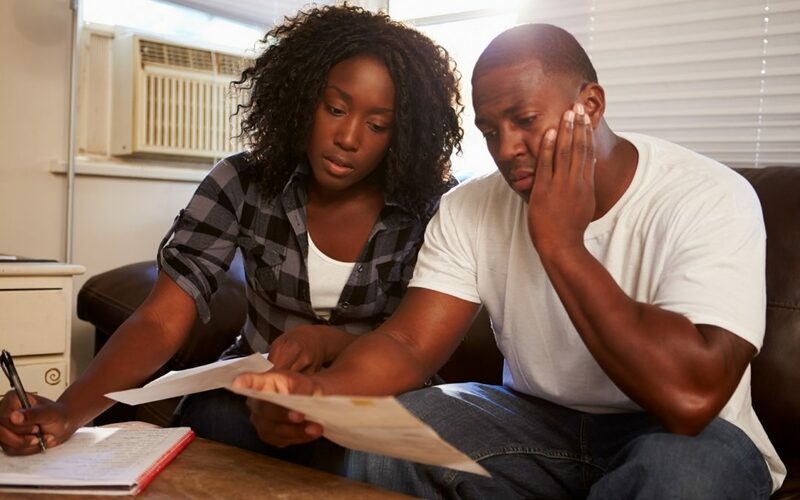 Did you know that one study found taking on debt led to a higher sense of marital dissatisfaction, while paying it off increased satisfaction? After having an honest conversation about exactly how much debt they carried, what their interest rates were, and how they planned to tackle their debt, they both felt a greater sense of marital satisfaction. Rick and his wife thought they could resolve their debt load on their own. They planned to tackle the highest interest debts first, while paying the minimum on their other credit cards. After trying this for a few months, they realised it was not working and they were still struggling to get their debt under control while meeting the needs of their family. That’s when Rick heard about BNA Debt Solutions from a friend who used their services previously. Based on the referral, Rick phoned and scheduled an appointment. We were able to help him better understand his options and provide him with a Consumer Proposal, dramatically reducing the amount of money they had to repay and reducing the interest to zero. Not only is making great financial decisions difficult, but the familial pressure we experience to provide for our loved ones can add to the strain. It is not easy for many couples or families to have open, honest conversations about their finances. This is something our team at BNA Debt Solutions is actively working on changing. Let’s start the conversation. Message us today on Facebook to see how we can help you find the solution to your debt that will help relieve the strain on your marriage and help your family get back to living the life you know they deserve.